The Desert Caballeros Western Museum is proud to present the 14th annual Cowgirl Up! Art from the Other Half of the West Invitational Exhibition and Sale from March 29 - May 12, 2019. In 2006, the Desert Caballeros Western Museum embraced a revolutionary idea: an annual exhibition and sale, showcasing the brightest contemporary female artists depicting the Western lifestyle. 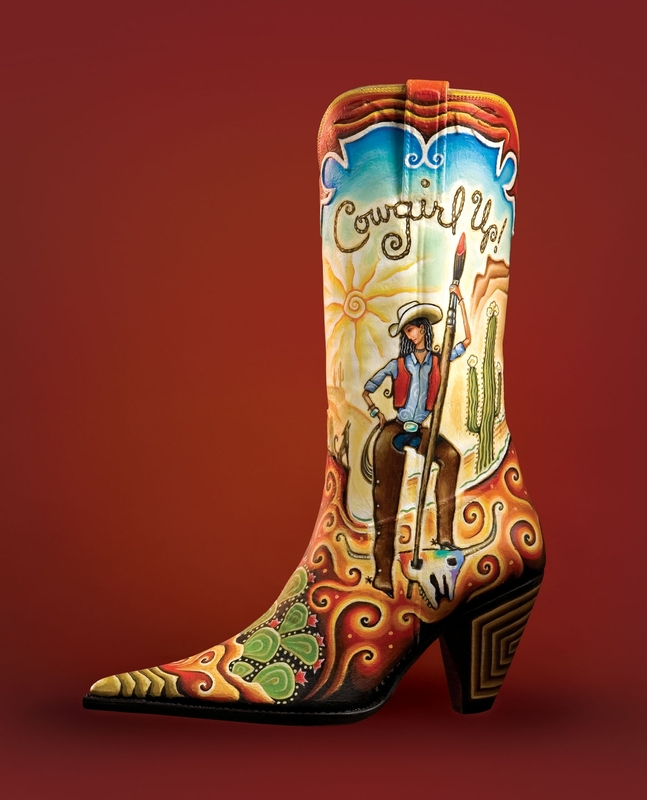 In the male-dominated world of Western art, Cowgirl Up! turned the spotlight squarely on women's voices and perspectives, serving up a new, deeper understanding of the American West. Fourteen years later, CU! remains one of the major national events for Western women and artists. Cowgirl Up! is a crossroads where artists, collectors and art enthusiasts come together to explore what it means to be a Western artist. CU! 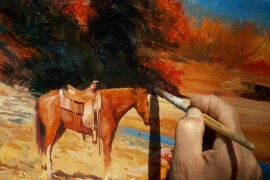 artists ride the range of techniques, styles, and mediums, altogether contributing more than 200 paintings, drawings, and sculptural works each year. More than 50 of the 56 featured artists are in attendance for opening weekend. After opening weekend, art is available for purchase at the Museum and online at westernmuseum.org. Proceeds benefit the creative endeavors of the Cowgirl Up! artists and of the Desert Caballeros Western Museum. The 2019 Cowgirl Up! presents 56 talented artists from as close as Prescott and Phoenix and as far as Washington, Wyoming, and Tennessee. Eight of the artists are new to the show. During three days of opening festivities, Frontier Street in front of the Museum transforms into a tented venue for catered dinners, dancing, live auctions, and an artists' quick draw. The weekend kicks off on Friday, March 29 with an opening gala reception, miniatures sale, and dancing under the tent. Saturday, March 30 includes a session with a keynote speaker and a bid and bash sale with bidding on main gallery pieces, a sit-down dinner, and an artists' awards ceremony. Sunday, March 31 begins at 9 a.m. with a chuckwagon breakfast and a 90-minute quick draw with the artists. A spirited live auction of the quick draw pieces closes out the weekend. Tickets for opening weekend are now available online at westernmuseum.org or by phone at 928-684-2272. Visit westernmuseum.org for a full description of the weekend's events, including times and prices. The Desert Caballeros Western Museum is an accredited museum by the American Alliance of Museums. The Museum is known as Arizona's Most Western Museum, and serves 55,000 visitors a year. 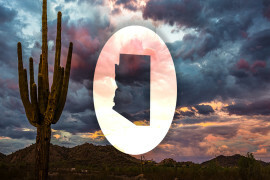 The Museum preserves and exhibits the art and history of the Southwest and the desert frontier, and is well-known for its innovative exhibitions and programming. Its world-renowned collection of American Western fine art, American Indian art and artifacts, and captivating interactive exhibits, together, create an unforgettable experience for visitors. The Museum's entire lower level is devoted to a re-creation of life in Late Territorial Wickenburg. The Museum further enhances the visitor experience by offering a free audio guide tour system. The Museum also has two stores, The Museum Store and Ranch Dressing. The Desert Caballeros Western Museum is located in historic downtown Wickenburg at 21 N. Frontier St.
Monday - Saturday 10:00 a.m. to 5:00 p.m.; Sunday noon - 4:00 p.m.
General admission is $12.00 for adults, $10.00 for seniors (60+) and AAA members, and free for Museum Members, active duty military and their families, and those 17 and under. Email info@westernmuseum.org or visit www.westernmuseum.org. 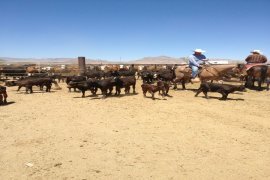 A fun filled day with real cowboys competing in real ranch work. 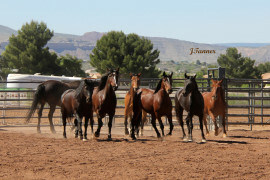 Events include ranch cutting horse, trailer loading, ranch bronc riding. Willcox Ranch Rodeo in the cattle capitol of the World. The Payson Pro Rodeo presents the Gary Hardt Memorial Rodeo with over 200 professional rodeo contestants. 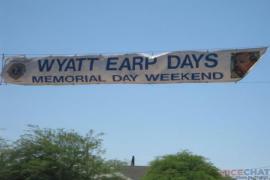 Celebrate the life and times of the Old West’s most famous lawman in “the town too tough to die,” gunfights & skits in the street, chili cook-off, hangings, street entertainment, look alike contests, 1880's fashion show.